What a time to call Seattle home. Our city continues to be named one of the most desirable cities in the United States. From the numerous cranes popping up in South Lake Union to being recognized as an affluent power player in the tech industry, it’s no doubt we find ourselves living in an important era in Seattle’s economic expansion. Queen Anne hill finds itself poised among the hustle and bustle of our city. If you live on Queen Anne you are already aware that its location, great schools, parks, and charming homes are among the many reasons it is one of the most popular neighborhood in this area. One way this can be measured is to examine statistics. 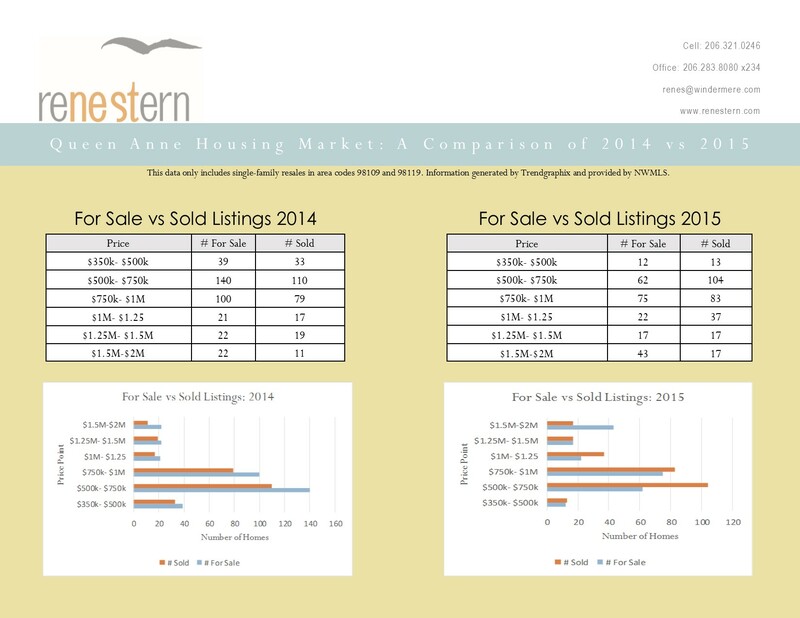 Here I have compiled statistics regarding for sale and sold listings on Queen Anne (area codes 98109 and 98119) from 2014 and 2015. 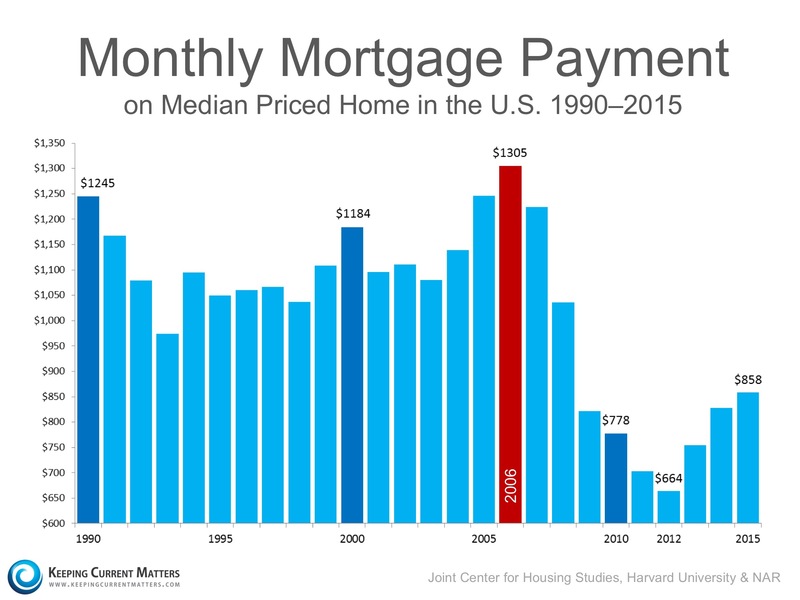 I chose to break this information down by price point to examine the changes in demand by price. 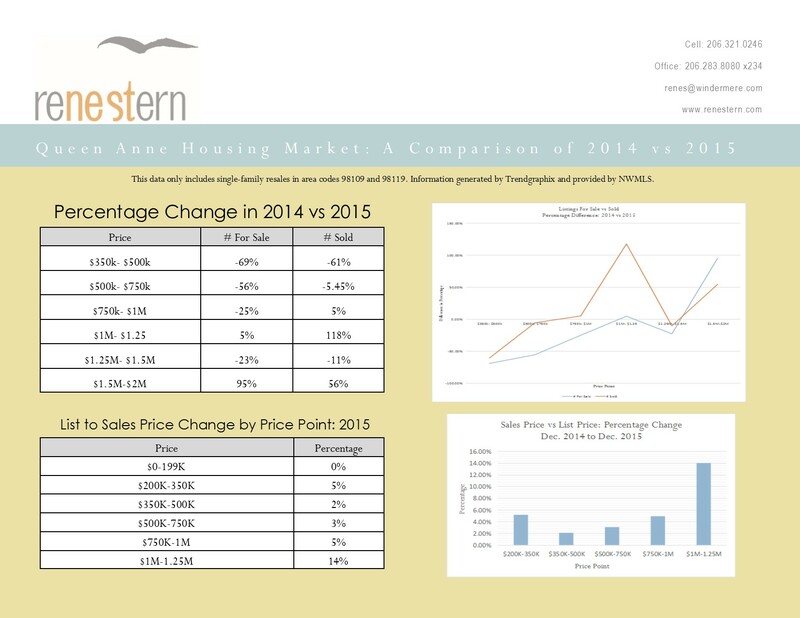 These statistics only include residential, single family homes that are resales. The findings are pretty incredible. For example, the number of sold properties in the price range of $1 million to $1.25 million rose 118% in 2015. 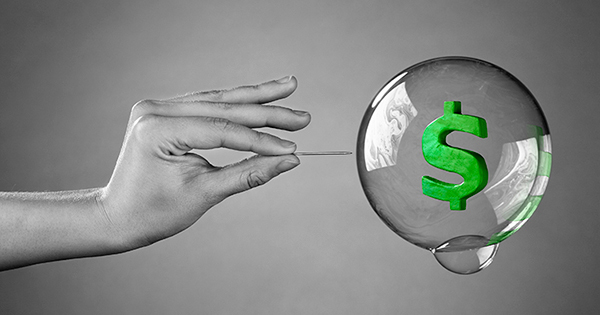 When looking at properties in the price point of $350,000 to $500,000, there was a 69% drop in the number of listings and a 61% drop in the number of sold properties. If you have any questions about these statistics, real estate needs, or what this means for your home please don’t hesitate to contact me at renes@windermere.com.